It’s here. The much awaited ECG app is now available for the Apple Watch Series 4 owners. Apple released the app in the US via a software update. The latest watchOS update brings the version 5.1.2 to the Apple Watch. In addition to the ECG app, the watchOS 5.1.2 also brings an irregular rate notification feature. This feature will be available to the entire range of Apple Watches. 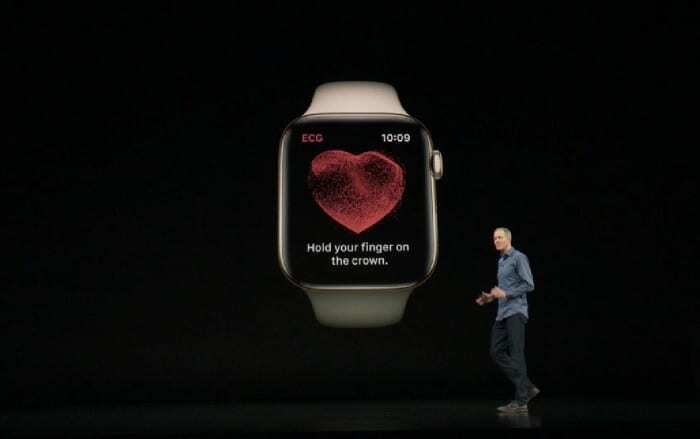 Ever since Apple announced the Apple Watch Series 4, its ECG feature has been one of the talking points. The feature was not available at launch, but the company had said that it will be available in the next few months, exclusively for the US customers. And now nearly three months later, it’s here. 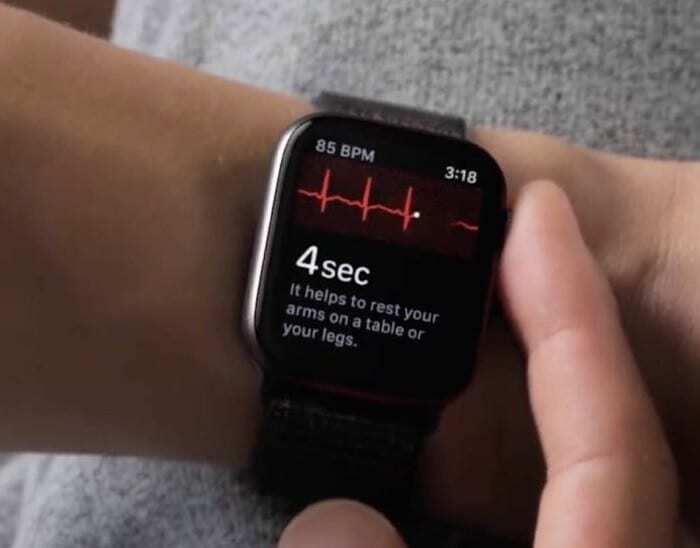 The ECG app uses the watch’s digital crown and sensors along the bottom of the watch to monitor the electrical patterns of your heartbeat and analyzes it for potential issues. However, keep in mind that this ECG app isn’t a substitute for diagnosing a heart attack, stroke or other heart-related diseases. If you’re having a severe health issue, call 911 or visit your doctor as soon as possible. Don’t rely on the ECG app. With this said, the ECG app is still of great use in monitoring your everyday health. It can eliminate the pain of visiting a doctor just for check-ups. Instead, you can take an ECG of your heart and share the resulting report with your doctor. Just make sure that you don’t act on your own if there’s any abnormality. So how do you use it? Let’s take a look. To begin with, you’ll need to update your iPhone to iOS 12.1.1, and your Apple Watch Series 4 to WatchOS 5.1.2. Once done, launch the Health app on your iPhone and setup the ECG feature (you’ll be automatically prompted to do that). Now you can proceed with the ECG test. To take an ECG, launch the ECG app on the Watch and lightly rest your index finger on the crown for 30 seconds. In order to capture accurate results, fit the watch tightly on your wrist and try to remain as still as possible, as any movement can impact the test. After 30 seconds, you’ll receive one of these three results: Sinus rhythm, atrial fibrillation (AFib) or inconclusive. A sinus rhythm means your heart is beating in a uniform pattern. AFib means your heart is beating in an irregular pattern. And as the name suggests, inconclusive means the test was unsuccessful either due to movements or because the result doesn’t qualify as the first two. After the test, the result will be available on the Health app on your iPhone. From there, you can create a PDF report to send to your doctor. 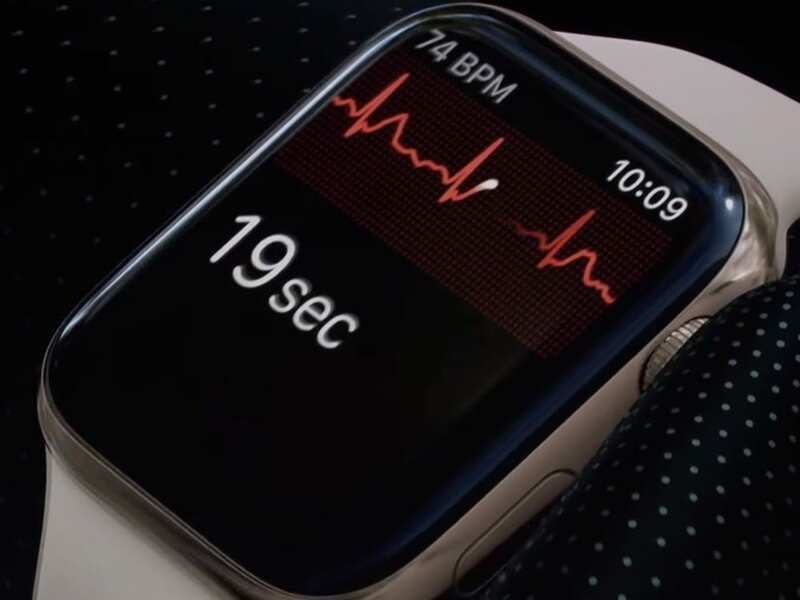 Apple also advises you with some relevant actions you should take based on your heart’s rhythm. The irregular rate notification feature that Apple released along with the ECG app, meanwhile, is passive. It checks your heart rhythm in regular intervals of time, and if there are five consecutive readings that seem abnormal, it will alert you and suggest you reach out to a doctor. Apple, however, suggests you to not use this feature if you have been previously diagnosed with atrial fibrillation.